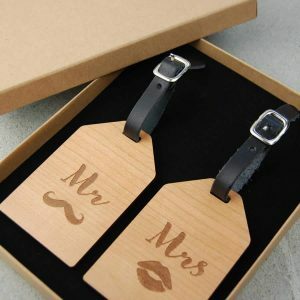 Custom made from sustainably sourced Cherry wood in our Dublin workshop, these pieces make a fabulous personalised wedding gift, anniversary gift or something special just for you. 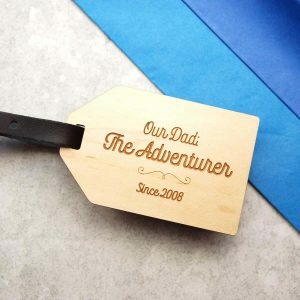 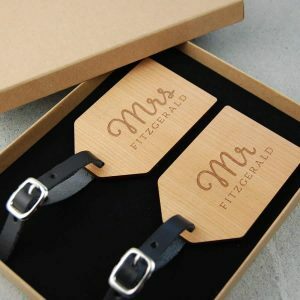 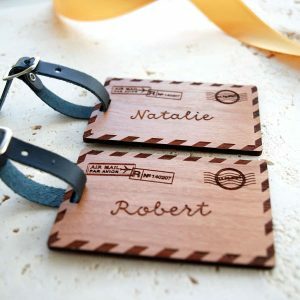 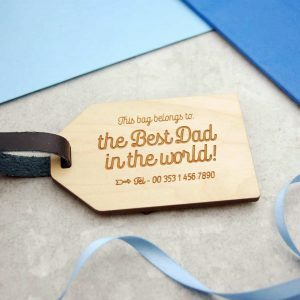 Your personalised luggage tags will arrive beautifully packaged in a branded gift box. 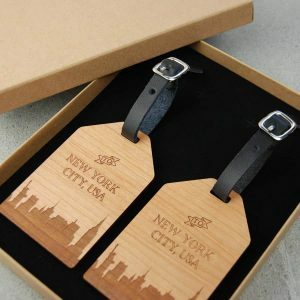 Each tag is attached to a short leather strap with a metal buckle, allowing you to easily and securely attach it to your bag or suitcase. 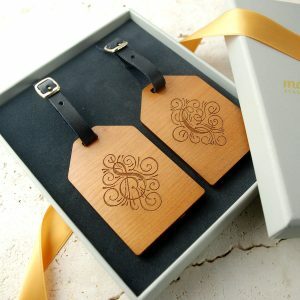 The tags measure 85mm x 55mm and the leather strap has three holes allowing it to be fastened at different lengths. 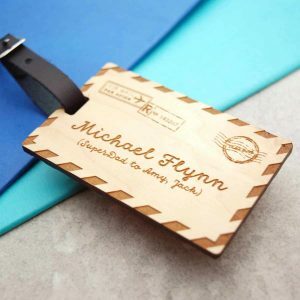 Be the envy of everyone at the baggage carousel with these one of a kind accessories!